CERIC is open to the accession of new Members (Member States, Third Countries and Intergovernmental Organisations) that have at their disposal excellent analytical facilities or sample preparation capabilities that can be used to develop and/or make available appropriate scientific and technical expertise and resources, and that apply the open access policy. A Methodology for Enlargement allows transparent processing of requests for membership. It envisages that enlargement may either take place in response to an application or be motivated by a need of CERIC. 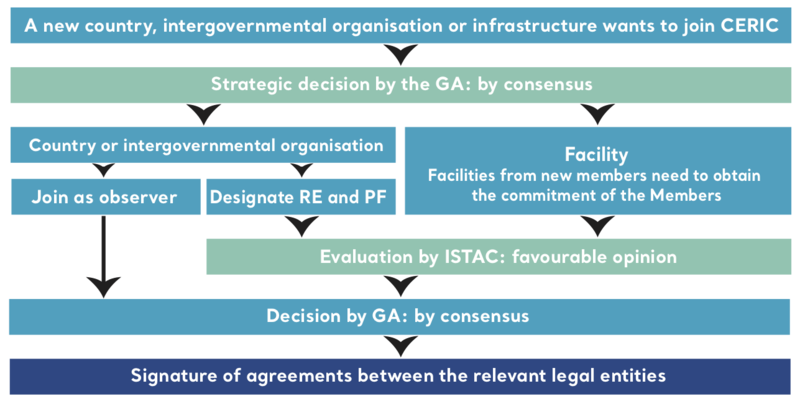 In both cases, the process starts with a strategic discussion in the General Assembly, to weigh the potential benefits against the drawbacks of the application.